Members of the University Press presented earlier this month the 2009 Gordon J. Laing Prize to Bernard Harcourt for his influential 2007 work, Against Prediction: Profiling, Policing and Punishing in the Actuarial Age. In his book, Harcourt, the Julius Kreeger Professor of Law and Professor in Political Science, analyzed many facets of current criminal justice policy—from traffic stops and airport screenings to parole boards and sentencing policies—that are based on actuarial reasoning. The award-winning book challenged the completeness of several arguments fundamental to actuarially based policies in both profiling and punishment. Harcourt made the argument that, as currently formulated, the prediction tools might actually increase the overall amount of crime in society. Presented annually to a University faculty member, the Laing Prize has been awarded since 1963 to an author, editor or translator of a book published during the preceding three years that adds the greatest distinction to the University Press. It is named for Laing, who served as general editor of the press for more than 30 years and established its reputation as the premier academic publisher in the United States. In announcing the award, President Zimmer noted that much of what Harcourt’s book criticizes are policies built upon the work of another Chicago faculty member, Ernest Burgess. A founder of the Chicago School of Sociology, Burgess created one of the first analytic parole-prediction instruments in the United States during the 1920s and 1930s. The “Burgess method” became extremely influential in predicting an inmate’s success on parole, and the actuarial principles, upon which the method was based, spread into other areas of law enforcement. Harcourt’s book observes that with the sole exception of racial profiling against minority groups on the highways, many have come to unquestioningly rely on the Burgess inspired actuarial methods as an efficient and rational means of crime prevention. Harcourt’s scholarly work focuses on issues of crime and punishment from an empirical and social theoretic perspective. His research intersects criminal law and procedure, police and punishment practices, political and social theory, and criminology. In addition to Against Prediction, Harcourt also has written Language of the Gun: Youth, Crime, and Public Policy (2005), and Illusion of Order: The False Promise of Broken Windows Policing (2001). 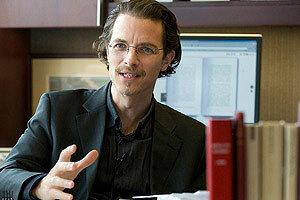 He also edited and contributed to a collection of essays on guns, crime and punishment in America, published in 2003. 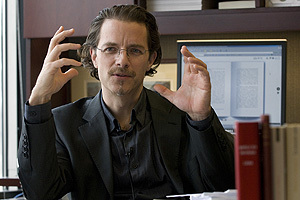 Before coming to Chicago, Harcourt was a faculty member at the University of Arizona, and a visiting professor at Harvard Law School and New York University School of Law. Harcourt earned a B.A. in political theory from Princeton University and his law degree from Harvard University. He received his Ph.D. in political science from Harvard University.